Flight attendant adopts stray dog: The story you need to hear. Flight attendant adopts stray dog after he waited outside her hotel room every night for four months. Stop absolutely everything you are doing right this minute. Because this – THIS – is the most adorable story to hit the news cycle this year. 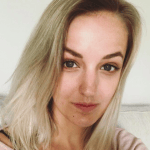 Olivia Sievers, a flight attendant from Germany, developed quite an unlikely friendship with a stray dog from Buenos Aires, Argentina earlier this year. The friendship kicked off when Olivia went for a walk near her hotel and stopped to play with a street dog, giving him food and cuddles. There was just one problem, though: once Olivia gave the stray animal attention, he simply refused to leave her side. As she made her way back to the hotel, the homeless pup followed her every step of the way. The adorable pup stood at the hotel’s door all night, waiting for Olivia to return. Little did she know he would do the same thing every night for the next four months. When the flight attendant returned home to Germany, she almost completely forgot about her strange furry companion, who she affectionately named Rubio. 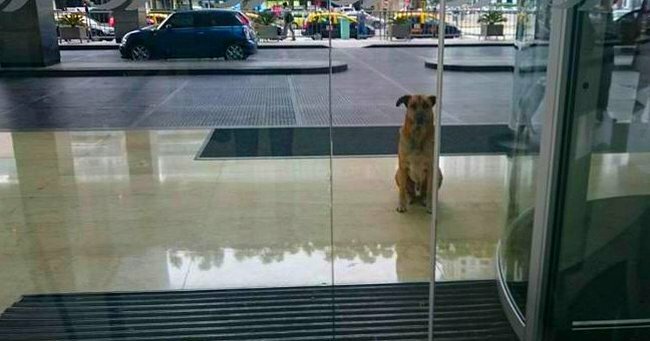 But weeks later, when she found herself back in Buenos Aires for work, there was Rubio out the front of the hotel, patiently waiting for a cuddle. Every subsequent visit Olivia made to the city, Rubio was there waiting for her return. Olivia&apos;s attempts to match him with a loving, local family even proved unsuccessful: Rubio ran away from his rescue family, right back to her hotel. Clearly resolute the flight attendant would be his owner, Rubio won the stand-off on Friday, when Olivia flew him to Germany with her to live. Now, if that&apos;s not a feel-good story, we don&apos;t know what is.